Go to… Go to… Home Featured Listings - Open Houses Search for Homes - Advanced Search - Map Search - Foreclosures - Commercial Search - Kingman Homes $400k & up - Kingman Homes $300k-$400k - Kingman Homes $200k-$300k - Kingman Homes $100k-$200k - Kingman Homes under $100k - Kingman Homes under $100k - Golden Valley Homes under $100k - Golden Valley Homes $100k -$200k - Golden Valley Homes $200k-$300K - Golden Valley Homes $300k- $400k - Golden Valley Homes $400k & up - Golden Valley Commercial - Kingman Commercial Properties - Mohave County New Construction - Manufactured Homes over $300K - Manufactured Homes $150K-$300K - Manufactured Homes under $150K - Bullhead City Homes $400k & up - Bullhead City Homes $300k-$400k - Bullhead City Homes 200k-300k - Bullhead City Homes 200k-300k - Bullhead City Homes 100k-200k - Bullhead City Homes under $100k - Bullhead City Homes - Bullhead City Commercial $400k & up - Bullhead City Commercial $300k-$400k - Bullhead City Commercial $200k-$300k - Bullhead City Commercial $200k-$300k - Bullhead City Commercial $200k-$300k - Bullhead City Commercial $100k-$200k - Bullhead City Commercial - Bullhead City Commercial Properties - Lake Havasu City Commercial Properties - Dolan Springs Homes over $400K - Dolan Springs Homes $300K-$400K - Dolan Springs Homes $200K-$300K - Dolan Springs Homes $100K-$200K - Dolan Springs Homes under $100K - White Hills Homes over $400K - White Hills Homes $300K-$400K - White Hills Homes $200K-$300K - White Hills Homes $100K-$200K - White Hills Homes under $100K - Fort Mohave Homes over $400K - Fort Mohave Homes $300K-$400K - Fort Mohave Homes $200K-$300K - Fort Mohave Homes $100K-$200K - Fort Mohave Homes under $100K - Meadview Homes over $400K - Meadview Homes $300K-$400K - Meadview Homes $200K-$300K - Meadview Homes $100K-$200K - Meadview Homes under $100K Buyer/Seller Info - Simplifying the Market - Mortgage Rates - Schools - Relocation - Weather About Me - My Blog - Testimonials Contact Me - Dream Home Finder - FREE Market Analysis - Real Estate News!!! 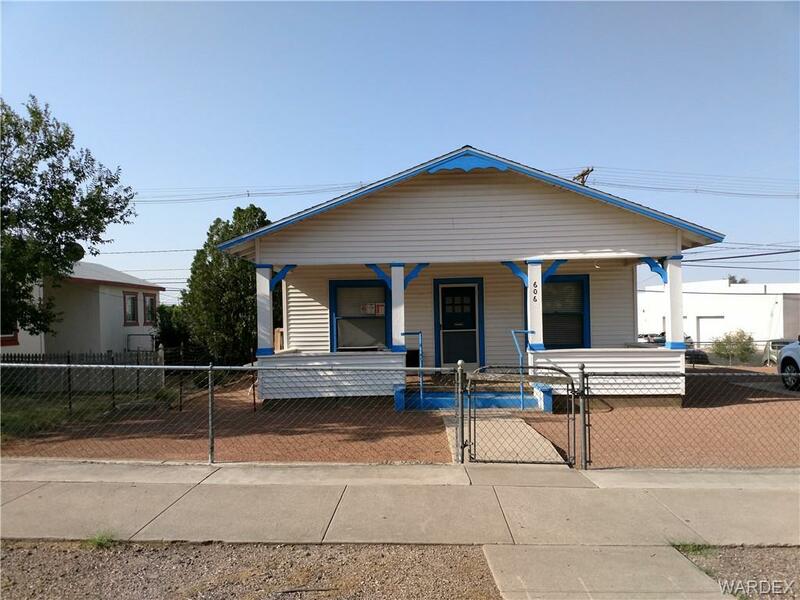 Take this opportunity to own property in historic downtown Kingman located right off of famous Andy Devine! This property features 2 separate buildings, fully fenced and offers great exposure for any business! This property is zoned C2 and would make a great art store, bakery or gift shop just to name a few! Old Town Kingman is filled with great restaurants & breweries, and shopping! So much potential in this property! Due to the sensitivity of the use of the property, showing will be by appointment only! Please do not walk near property without the company of a Realtor. Please do not disturb tenants! Thank you for visiting today. If this is your first visit, take your time and look around. I have plenty of information and resources available to you. If you are a return visitor, thank you. I would love to hear from you and tell you how I can serve all your real estate needs. 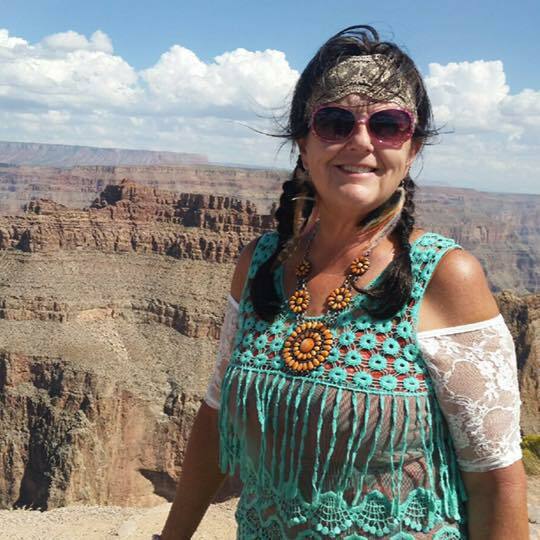 Why not Register on my page? This will allow you to save specific listings, searches, or property information so you can come back later and review. You can also sign up to be notified when new listings come onto the market that meet your requirements. This registration also helps me stay in communication with my clients and allow me to offer the best service possible. Home | Open Houses | Search for Homes | Advanced Search | Map Search | Foreclosures | Commercial Search | Mortgage Rates | Buyer/Seller Info | About Me | My Blog | Contact Me | Real Estate News!!! © 2019 Western Arizona Realtor Data Exchange All rights reserved. Information deemed to be reliable but not guaranteed. The data relating to real estate for sale on this website comes in part from the Broker Reciprocity Program. Real estate listings held by brokerage firms other than Remax are marked with the BR logo and detailed information about them includes the name of the listing brokers. Listing broker has attempted to offer accurate data, but buyers are advised to confirm all items. Information last updated on 2019-04-23.